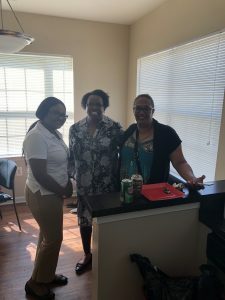 Alternative Living Unit Open house at Odenton location was a success. We were excited to have DDA central regional office personnel and day program directors attend. 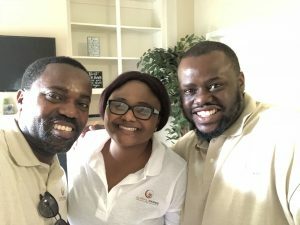 We also had an opportunity to connect the neighbors and potential parents looking for residential placements for their loved ones in the community. 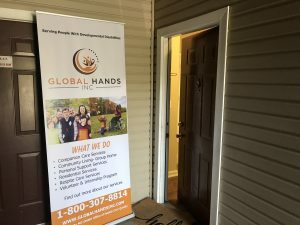 Global Hands Inc. arms are opened to serve the local community. We are proudly serving individuals in Anne Arundel, Baltimore City, Baltimore, Howard, Harford, Montgomery, Prince Georges, and surrounding Counties. 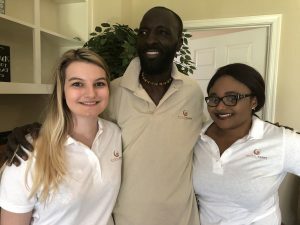 If you or an aging loved-one are considering alternative living in Odenton, MD, please call the caring staff at Global Hands Inc. Call today 240-264-0769. This entry was posted in Company News, Open House and tagged Open House. Bookmark the permalink.